Kerrin Hearfield: Happy New Year! Also i would like to take the opportunity to congratulate my friend and fellow writer Nicole MacDonald on being a newly published author! 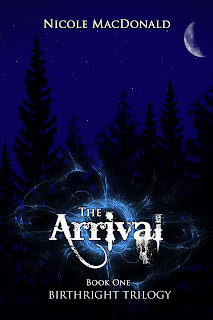 That's right, her book The Arrival (BirthRight Trilogy) is available now on Amazon.com for the kindle! The Arrival starts with a love spell, cast to find friends each a soul mate. It works...but no the way the girls anticipated. Thrown into a different world, in a different time, they encounter danger and near death, having to fight for their lives before they even know where they are. 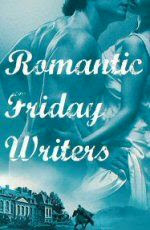 Holding their own, barely, until a group of Griffons arrive bearing their soul mates. Nicole has a unique writing voice and style. You will enjoy reading from the viewpoint of many of the characters within the story which brings a richness and fullness to complete your reading experience. It has rich and descriptive detail, various points of view, conflicts, bloodcurdling battles, magic, fantastical creatures and a subtle layer of sexual tension to keep you going to the very end....where you realise you just HAVE to have the next installment. Gripping and emotive, this story will leave you begging for more and thinking about it long after you have finished reading. Go buy it now, experience the magic of Nicole MacDonald! Happy Newyear to you also. Happy New Year Kerrin! And congrats to Nicole!